We have been learning about theme park rides and have designed our very own unique ride, which we shared with the staff at Paultons Park. Our day at Paultons was incredible, on the whole our favourite rides were: The Cobra, Flight of the Pterosaur and The Edge. Mr Harvey and Mrs Walder are extremely impressed with our spy stories. All of us have included different chapters and worked hard to show off our different skills and exciting vocabulary. An extract from Charlie’s story. Standing in the misty, ghostly moonlight agent Fang stared down at his rapidly flashing, ruby -red watch - 11:57 - three painful minutes to operating time. The naked, rough- barked trees stared down at him, as if to warn him not to pull of this treachery. For a moment, he thought he saw a bright white light twinkling innocently at him in the distance, but then told himself that his evil mind was playing tricks. Softly, like a cunning fox, he swept towards the spooky, dingy, rain splattered iron gates which lead to the moonlit, forbidding fortress like headquarters of MI6 (which was a brutal spy training facility). Two scarred, grim faced guards stood on night shift, this would be a piece of cake, for he had: stolen ancient church paintings and chandeliers; killed noblemen for all their gold, hacked into military, private police systems; and hacked into illegal dealing stores. So for Agent Fang this was just another cunning crime on an impossible record of savage crimes. 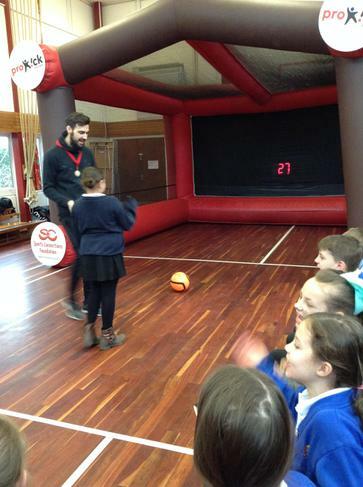 Year 5 came back with a spectacular surprise – spy boot camp. We were a set huge challenge! First of all, we had to solve clues to find another clue. The spy captains (the teachers) gave us a mysterious poem, which led us all in different directions to locations around the school. Our next code, was an anagram (letters scrambled up). Each groups had a different word and when we put them together they made a sentence! We were led to Miss Buist’s office and the postbox in Hares class. We were invited to spy school! We spent the afternoon designing spy assault courses and cracking codes. 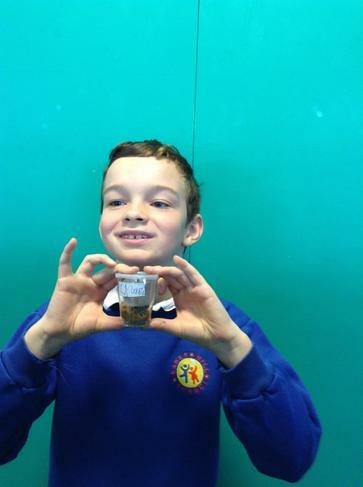 We have been learning about parts of a plant and are growing our very own sunflowers! 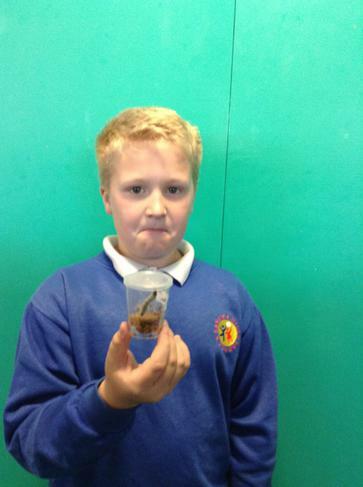 Also, we are learning about life-cycles and each have a caterpillar to look after. 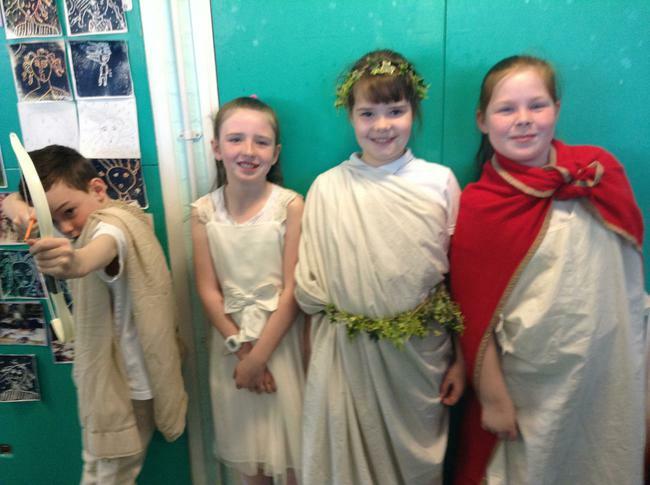 Year 5 finished their successful Spring term with a celebration of everything Greek. We hope you enjoyed the celebration as much as we did! During the day, we completed some exciting activities before you even arrived! First, we learnt about the Greek alphabet and made our names in Greek. Also, we created Greek codes for our friends to crack! 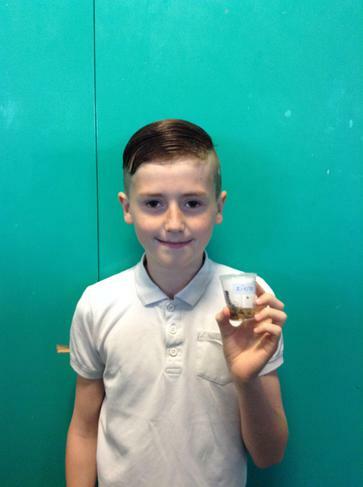 We had an amazing pentathlon: shot put, long jump, discus, javelin and the long distance. We watched Hercules and made comparisons between this film and other myths we had ready. Thanks again for taking the time to visit our Greek celebration. We hope you enjoyed our homemade bread and the delicious Greek delicacies. We received so much positive feedback about our Greek library, Greek art gallery and Greek theatre. A note from the Year 5 team! 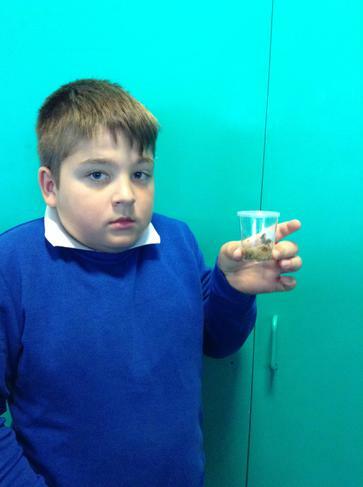 We have been really impressed with learning attitudes and home learning this term. Please enjoy a relaxing break with your families and we hope the sun is shining for you. It would be really helpful if you could continue to practise times tables and read regularly with your child. 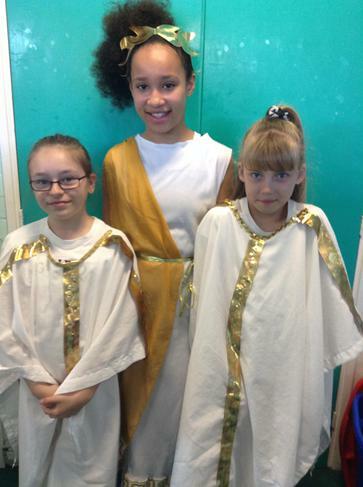 Year 5 have continued their learning of all things Ancient Greek. They are becoming quite the experts now! 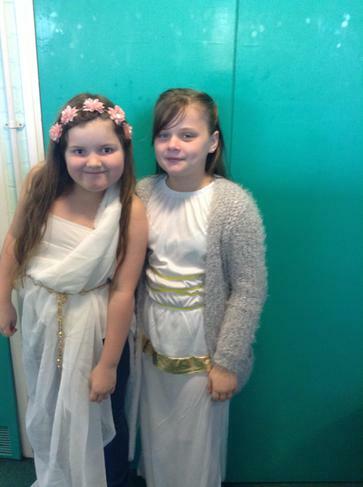 The children have all written their own version of a Greek myth – complete with gallant hero/heroine and ferocious mythological beast – and are now beginning to use their fantastic knowledge to write a non-fiction piece all about the Gods and Goddesses that were the focus of worship at this time (of which there were many). 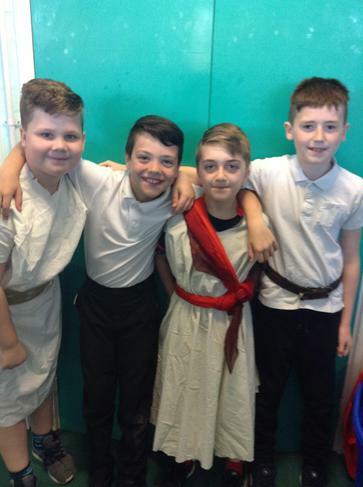 Year 5 have also participated in two great English themed activities alongside the children of other year groups: world book day and Kanes Hill poetry writing. It was so good to see the amazing effort that the children went to, to dress up as either their favourite book character or as a person in a job role that they aspire to. Our maths work has recently focused our attention to working with measure and the year group have been able to demonstrate their knowledge of perimeter and area well, all the while using their strong understanding of the four operations to help them apply their learning. 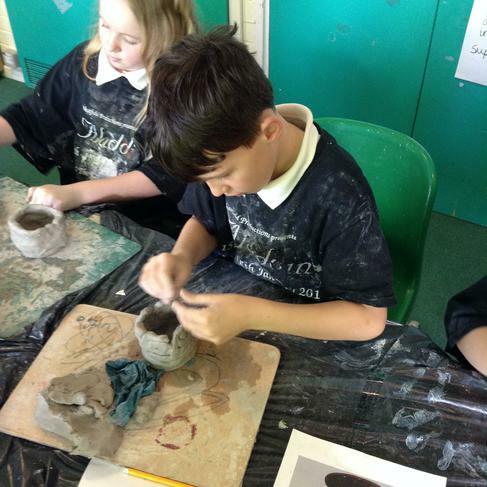 There have also been plenty of opportunities to develop our knowledge and understanding in other areas of the curriculum: a visit from biologists studying at Southampton university helped us explore the relationship between carnivores and herbivores, with taxidermy and animal skeletons being brought in to study; our Ancient Greek topic inspired us to produce art work using the medium of clay, using a coil technique to build up layers; and an inflatable football goal provided the perfect opportunity to start our PE focus on invasion games including football. 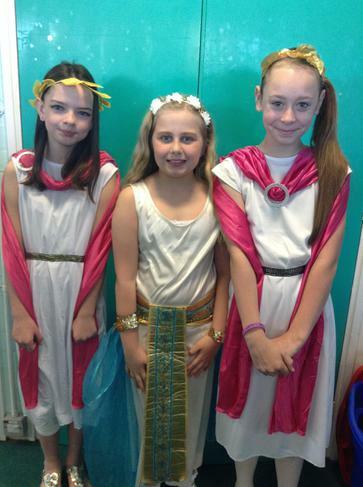 Year 5 have had a wonderful January, learning about Greek mythology and fractions and percentages. We had a fantastic day at Southampton Art Gallery and the children produced some incredible artwork. All the children have been so engrossed with our new topic and are excited to become authors of their own myths. During our trip to Southampton Art Gallery, the children learnt about the myth of Perseus and Medusa. Since then, we have explored a range of myths and the children have been making comparisons between texts. We have been so impressed with the enthusiasm towards fractions and percentages and the amount of children passing their target times tables and Mrs Hicks’s challenge. Congratulations to all those children and thank you parents for your hard work supporting the children to learn their tables at home. Times table recall is so important in year 5. A big well done to all of year 5 for trying their best at swimming this week. We can’t wait to see your amazing progress. What a lovely start to the New Year. 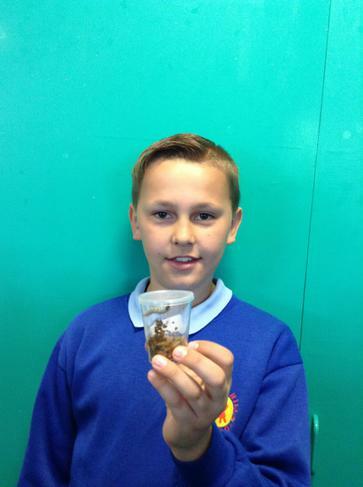 All of the Year 5 team have been so impressed with the childrens’ learning behaviours and positive attitudes. 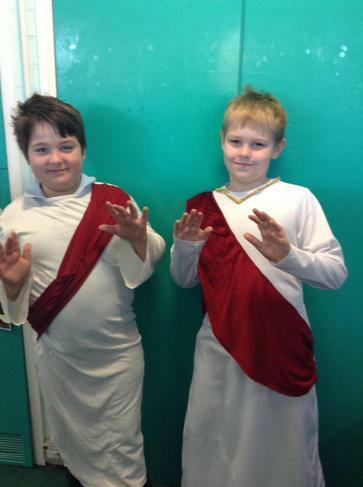 For the start of the spring, Year 5 began their new topic of the ancient Greeks. We studied Theseus and the Minotaur as our first Greek myth, we read the story together and then acted it out in small groups. We all really like drama, therefore, we all enjoyed acting out the story. My favourite part of the story was when Theseus slayed the Minotaur and escaped the terrible labyrinth maze. Next, we thought about how different characters might have been feeling at different parts during different parts of the myth. After that, we described what we knew about the different characters from the text and what we could infer about their thoughts and emotions. ‘’I can’t wait to see whether he slays the Minotaur,’’ Bradley. ‘’Oh I really want to carry on!’’ Keira. ‘’It was a very different type of story which I really enjoyed,’’ Charlie. ‘’I liked doing the drama because it helped me learn more about the myth and understand the characters., “Ashton. 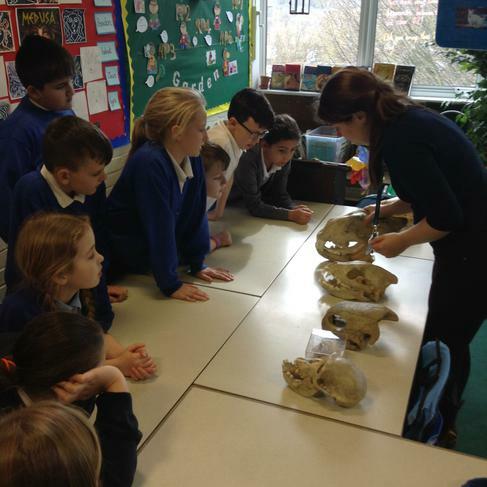 Year 5 began this week with an incredibly exciting science morning. They explored different forces: gravity, friction, air-resistance and water-resistance. They used different physical apparatus to explore the forces. To learn about air-resistance, we made mini parachutes for different toys and dropped them from different heights. The children were able to explain that the more volume, the greater air resistance, which slows down the object. We revised the force of friction, which acts between two surfaces and always slows an object down. We investigated which materials have the most and least friction by using toy cars on different ramps. Year 5 have been so enthusiastic about writing stories using: expanded noun phrases, temporal conjunctions and figurative language. 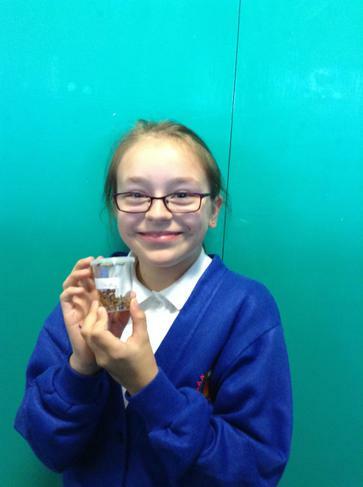 Firstly, the children wrote, edited and published exciting adventure stories set in the Amazon Jungle. Now, to get into the festive spirit, the children have been using ‘The Snowman’ to create their own festive stories. Last week, Year 5 came back with such positive learning attitudes and were very excited to learn about their R.E topic of Diwali. “It was so interesting to learn about Rangoli patterns and a challenge to create our own symmetrical Rangoli pattern!” stated Bradley (5W). “We enjoyed writing the story of Rama and Sita and adding our own creative touches!” explained Karol (Wallaby Class). The children loved acting out the story of Rama and Sita and were incredible actors and actresses. Year 5, produced some incredible writing about North and South America. The children applied different skills into their writing and produced an interesting leaflet, earning house points for their team. Please have a look at their fantastic work.